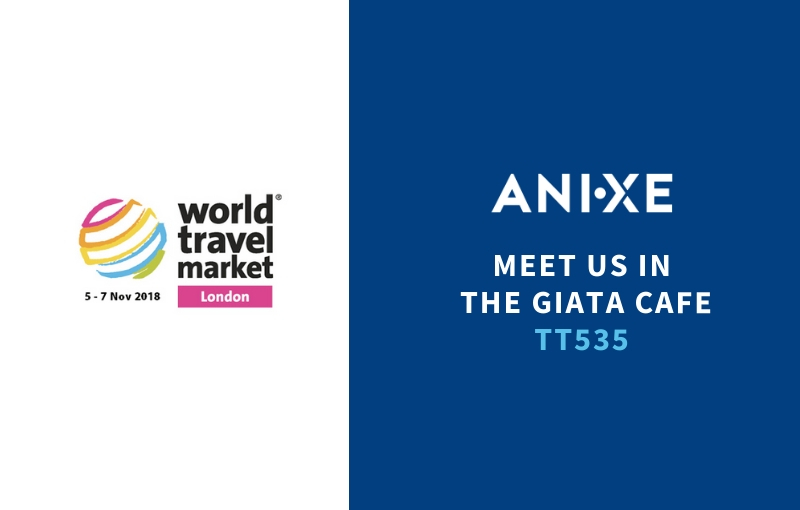 ANIXE | Let’s meet on Nov 5-7, 2018 at WTM London! One of the key reasons why so many travel professionals attend the show year after year is because of the valuable networking opportunities and connections they make. Last year WTM London sparked a million meetings, resulting in around £3 billion in contracts. We look forward to sharing with you our experience and knowledge. Let’s talk about market opportunities and benefits of using ANIXE’s reservation solutions. Let’s talk about challenges as we help travel businesses to grow digitally. Meet us in the GIATA Cafe (stand No. TT535) or simply drop us a line so we can tell you all about our unique Resfinity booking technology and exclusive network of hotel suppliers worldwide. Contact us to set up a meeting at sales@anixe.pl.